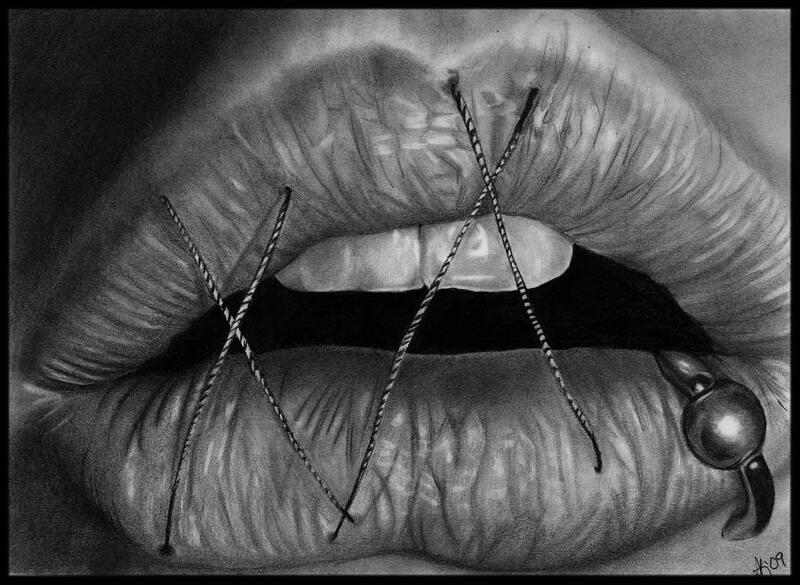 Don't Speak is a drawing by Alycia Ryan which was uploaded on January 13th, 2010. Awesome lady. The teeth are perfect.